In the following we provide you with all the information on how Ararat Farm does beef and pork orders. Please read through the process carefully and sign up for our newsletters so you can stay informed about when orders are open. At Ararat Farm we do seasonal orders. Spring (May) and Fall (September). This ensures that you will always have the ability to fill your freezer with meat throughout the year. Occasionally we will process a cow between scheduled orders if we fill an order for a whole cow. For ordering beef you will receive an update of when orders are open a month in advance to the order close date. During this time you will fill out your order sheet and what package you would like on the website and submit along with your deposit. Your deposit is your purchase of a share of the animal with the rest of your total paid on the delivery day. Typically the order close date is a week before the cows go to butcher. That way if there are any changes that need to be made we can make them before the butcher gets your order sheet. When the beef is ready for delivery (roughly two weeks after the cows go to butcher), you will receive an update that your beef is ready and info on your total and a drop date, place and time. Customers are welcome to pick up at the butcher but for your convenience we do two centrally located drops in Kingsport and Knoxville. After the delivery date you get to enjoy your delicious grass fed beef. For ordering pork you will receive an update of when orders are open a month in advance to the order close date. During this time you will fill out your order sheet on the website and submit along with your deposit. Your deposit is your purchase of a share of the animal with the rest of your total paid on the delivery day. Typically the order close date is a week before the pigs go to butcher. That way if there are any changes that need to be made we can make them before the butcher gets your order sheet. 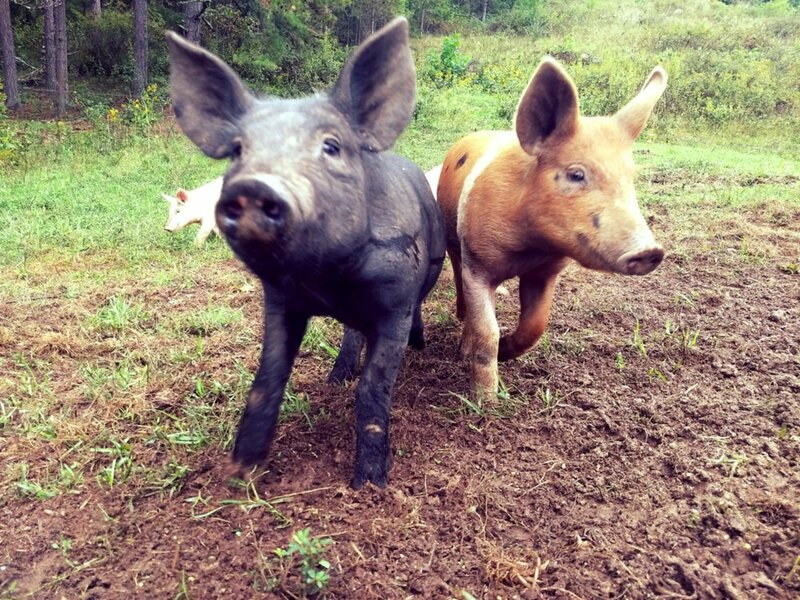 When the pork is ready for delivery (roughly one and a half to two weeks after the pigs go to butcher), you will receive an update that your pork is ready and info on a drop date, place and time. Customers are welcome to pick up at the butcher but for your convenience we do two centrally located drops in Kingsport and Knoxville. After the delivery date you get to enjoy a freezer full of juicy pork.